The Leveson Report has been published and a full copy of the report is located on the National Archives website, the executive summary is also available. View all the NUJ submissions on the Leveson Inquiry website. "Tomorrow Lord Justice Leveson will publish the findings of his inquiry into the culture, practices and ethics in the press and his examination of the relationship of the press with the public, police and politicians. It was a year ago that the NUJ fought to be a core participant in the inquiry. We had to battle to ensure that the voice of working journalists was heard, and not just that of owners and the editors of the national press. To inform our submissions and evidence, we set up a Leveson email address and asked all members to contribute their concerns, experiences and views. In particular, we asked members who wished to contribute evidence to the inquiry to come forward anonymously if they felt unable to speak openly about their experiences. We came into the inquiry with a strong view on the present Press Complaints Commission. At the NUJ's 2011 delegate meeting in Southport – after a long and fruitless campaign for reform of the PCC – delegates voted for it to be scrapped and to campaign for its replacement. This came against the background of previous policy built up over many years of campaigning for change in the regulatory framework of the press and for a properly accountable media complaints commission. All union policy is made democratically from decisions taken at delegate meetings and by the union's ruling lay body, the NEC. From the outset of the Leveson Inquiry, we demanded a conscience clause to safeguard journalists who object to being made to act unethically in the pursuit of a story. The industry – both the PCC and the Society of Editors – has repeatedly refused to bring in a conscience clause, despite the Home Affairs Select Committee backing the NUJ's campaign as long ago as 2003. We highlighted the vital role a trade union plays in any workplace, and how in journalism the NUJ plays a role in maintaining standards and standing up for ethical journalism, as well as the bread and butter industrial issues of pay and conditions. We explained to Lord Leveson that an NUJ workplace chapel is not simply the vehicle for putting together pay claims and campaigning for better terms and conditions, it is also the place where members can raise issues of concern about ethical matters, staffing levels, and bullying and editorial pressure within their workplace. It is significant that the unfolding scandal at News International happened in a workplace where the NUJ has been effectively blocked by Rupert Murdoch, where journalists working across the titles have been denied the collective representation of an independent trade union for a generation. We pointed to a model of regulation the NUJ is particularly familiar with – the Press Council of Ireland (PCI). The PCI is recognised under statute once it meets minimum standards which guarantee independence from ownership control. These minimum standards include civic society involvement and representation of the profession of journalism which is provided by the NUJ. There is no direct or indirect state involvement in the regulatory system or in the work of the Press Ombudsman. No publisher is forced to join. If they do, they enjoy legal privileges including a defence in libel actions. If they decide not to join, they forfeit that benefit. The new, slightly beefed up PCC proposed by Lords Hunt and Black represents more of the same. It does not propose a conscience clause; they have ruled out the involvement of working journalists in the make-up of a PCC mark 2; and, worryingly, it suggests that this should be the body to determine who gets a press card. A system that could withdraw an individual journalist's press card – and livelihood – would transfer accountability from the publisher to the journalist. This is unacceptable and would be akin to the licensing of journalists, something the NUJ is wholly opposed to. represent members of the public. 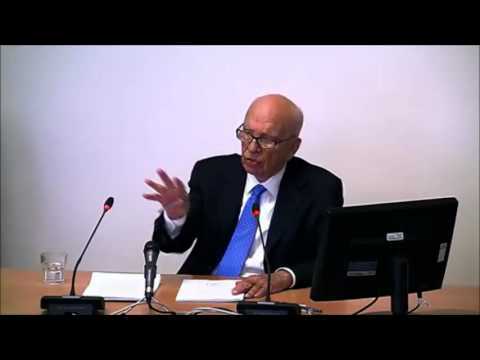 One of the red-letter days of the Leveson Inquiry was NUJ counsel's quizzing of Rupert Murdoch. John Hendy, QC, even got the media baron to admit that a conscience clause could be a good thing. When Murdoch was asked about the testimony from a journalist working for his titles who had experienced bullying, he said: "Why didn't she resign?" As Lord Leveson had to point out: "I think the problem with that might be that she needs a job." The inquiry has revealed the unhealthy relationship between politicians, the police and sections of the press. It has been a powerful argument for the need for greater transparency between the political elite and the leaders and acolytes of powerful media conglomerates. The NUJ's position has been misrepresented and attacked in many quarters of the media – The Sun accused the union of trying to end free speech in the UK while others claim it supports state control of the press. The union does not back statutory regulation of the press. We support an independent system of regulation – independent from the industry and, crucially, from government. For long years the NUJ has campaigned for a more accountable press and for high standards of journalism, it has led countless campaigns defending press freedom, battles to protect journalistic sources, and fights to extend the public's right to know. Our participation at the Leveson Inquiry has been a continuation of those campaigns and battles. "NUJ chapels are not just a place where journalists talk about their pay or terms and conditions - it's where journalists can raise issues of concern on matters ethical, on staffing levels and on bullying and editorial pressure within their workplace." Read the Leveson Inquiry panel verdict, The Guardian. Donnacha DeLong, outgoing president of the National Union of Journalists, explains why one of the least-noticed conclusions of the Leveson Report, its support for the conscience clause, could prove a significant victory for ethical journalism. "I wonder whether we could achieve consensus on one of the recommendations in the report, where Leveson recommends the consideration by proprietors of the introduction of a conscience clause to protect journalists who refuse in any way to go against the code of practice. Will the Prime Minister join me in urging proprietors to meet the National Union of Journalists and whoever else to start working on introducing a conscience clause in contracts?" The Prime Minister: "I am very happy to agree to that. There are many sensible recommendations that can be put into place, I would hope, as quickly as possible - some of the recommendations about the police and the Association of Chief Police Officers, and many of the recommendations about politicians and our relationship with the press. Those do not have to wait for anything, and as I have said, the press do not have to wait for any further discussions; they can start putting this regulation in place straight away." Read the transcript of the debate on Hansard. NUJ urges a newsroom culture change after Leveson, The Guardian. Listen to the CPBF podcasts about the Leveson Inquiry and Report. The Leveson Inquiry was set up by the Prime Minister in July 2011 to examine culture, practices and ethics. Lord Justice Leveson was asked to examine the relationship of the press with the public, police and politicians. The inquiry was launched in response to the exposé of illegal activities such as telephone hacking and police bribery by the News of the World, with the hacking of the phone of murdered teenager Milly Dowler being one of the lowest points in journalistic history. The union sent a letter to all members informing them of the inquiry and we asked people to let the union know their views and experiences so we could include them in our submissions to Lord Justice Leveson. An NUJ working group was established and comprised officials and members of the national executive. The union organised a public conference in March 2012 in London with the TUC and the CPBF to discuss the inquiry and associated key themes. Lord Justice Leveson opened the hearings on 14 November 2011, saying: "The press provides an essential check on all aspects of public life. That is why any failure within the media affects all of us. At the heart of this Inquiry, therefore, may be one simple question: who guards the guardians?" The NUJ could have saved the News of the World. The union is well aware of the culture at News International where the rights of workers are ignored, but it's locked out, comments Donnacha DeLong, The Guardian. The union's final submission to the inquiry sums up our key themes and concerns. In November 2011, the union published Michelle Stanistreet's statement to the inquiry on the union's website. "In our final submission to the Leveson Inquiry the NUJ proposed a system of independent press regulation underpinned by statute. This does not mean state regulation of the press, nor does it mean statutory regulation of the press as has been claimed in some quarters." In the NUJ's first witness statement to the inquiry (module 1) Michelle Stanistreet explained the NUJ code of conduct. She said the union had always stood for high journalistic standards based on the code and had consistently backed members willing to take a stand for ethical journalism. "The NUJ has campaigned for a conscience clause for many years - having such a clause in a contract of employment would allow journalists to stand up on a point of journalistic ethics without fear of being dismissed. It would give journalists the right and the confidence to ensure the code becomes an everyday part of journalistic decision-making ... It is significant that the unfolding scandal at News International happened in a workplace where the NUJ has been effectively blocked by Rupert Murdoch. Journalists working across the titles have been denied the collective representation of an independent trade union for a generation." The submission set out the union's view – agreed by its policy-forming Delegates Meeting in April 2011 – and argued that the Press Complaints Commission was beyond repair and should be abolished. It started the debate on what the shape of a new regulator should be: "This new body must have investigatory powers, including the power to call witnesses. It needs to be able to impose penalties, for example fines, and act as a genuine recourse for members of the public making complaints. "The structure needs to stand the test of time and should include owners, journalists, and the public. A key part of its remit must be to ensure the statutory Right of Reply (with due prominence) to factual inaccuracies. This is key to giving the public confidence in the regulation of the work of journalists and the practices within the newspaper industry." "Bullying is endemic and a culture of impunity exists that allows the perpetrators - the majority of whom are senior newsroom executives - to go unchecked. Too many journalists are put under intolerable and inhumane pressure to deliver stories - whatever the means." The union put the case, and won, for Michelle Stanistreet to present anonymised witness statements made by NUJ members about their experiences at work. This was challenged by Associated Newspapers, but its attempt to block the publication of the document was dismissed by the High Court. The NUJ worked with the Leveson Inquiry team to ensure that journalists could contribute to the inquiry while protecting them from retribution by employers. The NUJ's third statement to the inquiry (module 1) described the level of bullying suffered by journalists at the hands of newspaper executives, including one reporter who had already been subject to jibes about her weight being forced to go out in the street dressed Lady Gaga-style in a dress made from meat. There are many other examples of unethical newsroom practices in the NUJ's submission. Most of the first module was taken up with hearing evidence from victims of the press, either by phone hacking or intrusion into their privacy. Witnesses included the parents of Milly Dowler, the parents of Madeleine McCann, Chris Jefferies, who was falsely implicated in the murder of Joanna Yeates, as well as celebrities including JK Rowling and Sienna Miller. Watch the interview with Michelle Stanistreet outside the High Court during the first part of the Leveson Inquiry. The NUJ's submission for module 2 of the inquiry said: "The vast majority of working journalists and photographers are not in collusion with police officers; far from it." The submission outlined a number of cases where journalists have been intimidated by the police when they have been protecting the sources of their stories or where photographers had been issued with production orders demanding footage or photographs. The submission for module 2 illustrates the extensive work the union has done to defend members and protect sources. This module included evidence from David Cameron, Gordon Brown, Tony Blair and John Major among politicians and members of the press. Read Michelle Stanistreet on the Greenslade blog as a curtain-raiser to module 4, The Guardian. The union did not take part in module 3 of the inquiry. Michelle Stanistreet commented on module 3 in a blog posted on the Left Foot Forward website. During this module, the NUJ highlighted the need for change and urged the inquiry to develop an effective framework that supports the integrity and freedom of the press while encouraging the highest ethical standards. The union sent a number of submissions to the inquiry (there are four NUJ submissions for module 4 of the Leveson Inquiry from the NUJ) and Michelle Stanistreet and Professor Chris Frost, chair of the NUJ Ethics Council, both gave evidence in person to Lord Justice Leveson. The NUJ argued that the Press Complaints Commission was entirely discredited and a slightly beefed up and revamped PPC proposed by Lords Black and Hunt was just more of the same. The NUJ called for a body which is independent of the state and the industry and which includes journalists and the public. Jim Boumelha, president of the International Federation of Journalists, outlined the range of media accountability systems throughout the world, many of which demonstrate a healthy balance of participation between journalists via their trade union, the industry and the public. Chris Frost, chair of the NUJ Ethics Council, set out the history of press regulation and outlined a structure for a Press Standards Council, with a board and ombudsman. He proposed that two-fifths of the board would be from press organisations, such as the NUJ and the Society of Editors, and the rest would be made up of representatives of the public appointed by an appointments committee. The board would determine the policies of the new body and draw up a code of practice, including a conscience clause for journalists. The ombudsman would be responsible for processing complaints. "The primary duty of any new body must be to ensure the freedom of the press. It must be free from interference from the state and politicians - and equally independent of the media owners and editors. While the NUJ is hugely disappointed that we have reached this point, despite more than 20 years of campaigning for reform of the PCC and press regulation, we now see it as inevitable that there should be some statutory provision for a new regulator that would be able to take complaints, enforce penalties, carry out investigations and monitor performance. The legislation would need to identify who would be regulated by the new body, how the new body would be funded and how it would be constituted." Séamus Dooley, NUJ Irish Secretary, also submitted evidence to the inquiry. He gave an outline of the Irish Press Council and showed how co-regulation, underpinned by statute, was working in Ireland. Submissions from other individuals and organisations for module 4 have been published on the inquiry's website. Media Reform Now: we need to re-unionise the industry. Blogs Donnacha DeLong on the media policy project website. History repeats itself as media bosses oppose change. Members of the British press have already accepted the legal provisions in the Irish regulatory system and have supported it since it was established, writes journalist and media lecturer, Michael Foley, on the NUJ website. NUJ leader Stanistreet hits back at Sun jibes and calls for regulator free from owners' control. The Sun attacked the union over its stance on media reform - Michelle's response, Press Gazette. Why we need an independent regulator to uphold press freedom. As Leveson prepares to produce his report, those with the most to lose by raising standards in the press are starting their campaign to rubbish his recommendations, writes Chris Frost, head of journalism at Liverpool John Moores University and chair of the NUJ Ethics Council, Press Gazette. NUJ Irish Secretary says 'statutory underpinning' of the press regulator does not equal 'state control'. In Ireland, the NUJ was a member of the industry steering committee which helped lay the foundations for the Press Council of Ireland. The NUJ does not favour statutory regulation of the media: not in the UK; not in the Republic of Ireland; not anywhere, writes Séamus Dooley, NUJ Irish secretary, Press Gazette.